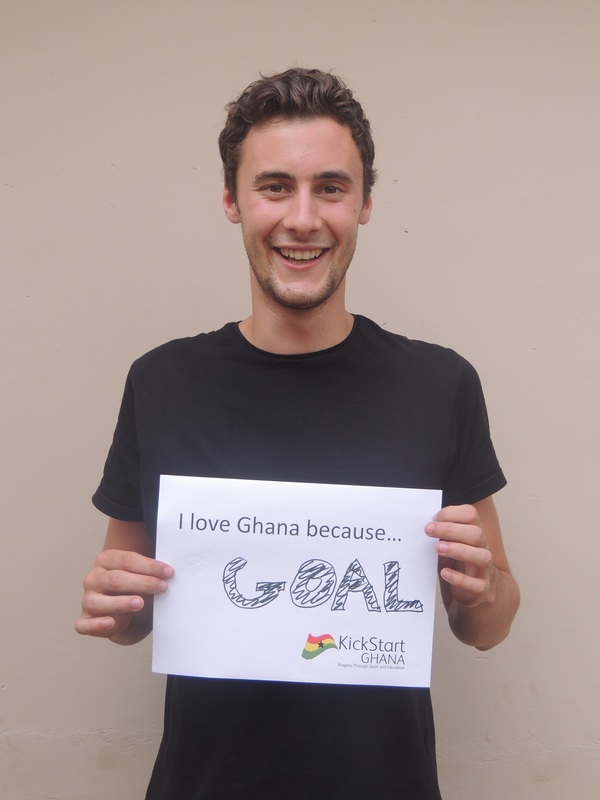 One of my favourite projects in the summer was, with a lot of help from Coco, meeting people and asking what is was about Ghana that they loved so much. 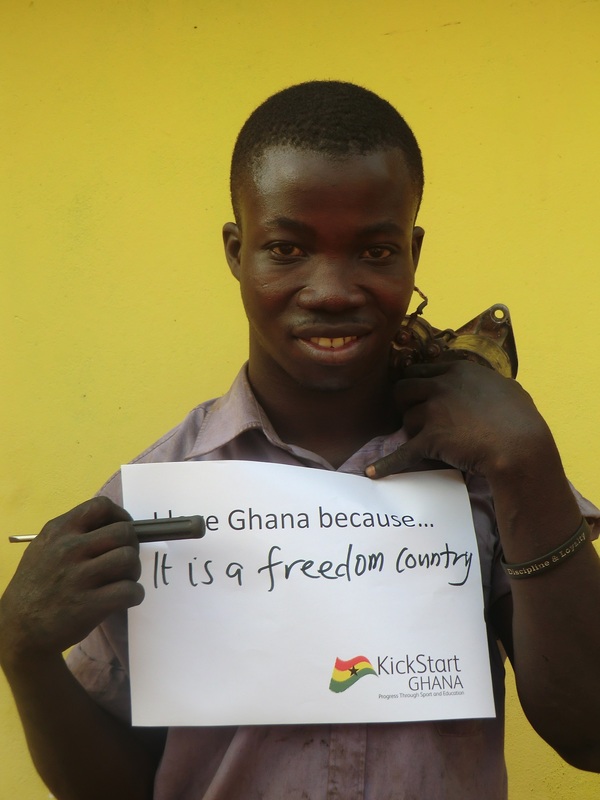 Patriotism certainly isn’t a dirty word in Ghana and the flag can be seen proudly flying everywhere you travel with the national anthem is sung in schools and public places at least once a week. 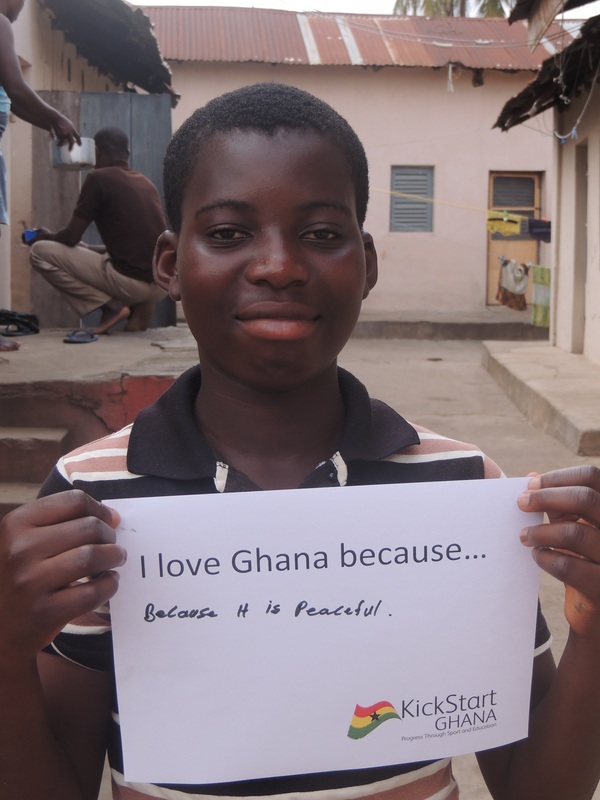 The clear winner for why people love their country was because it is peaceful. 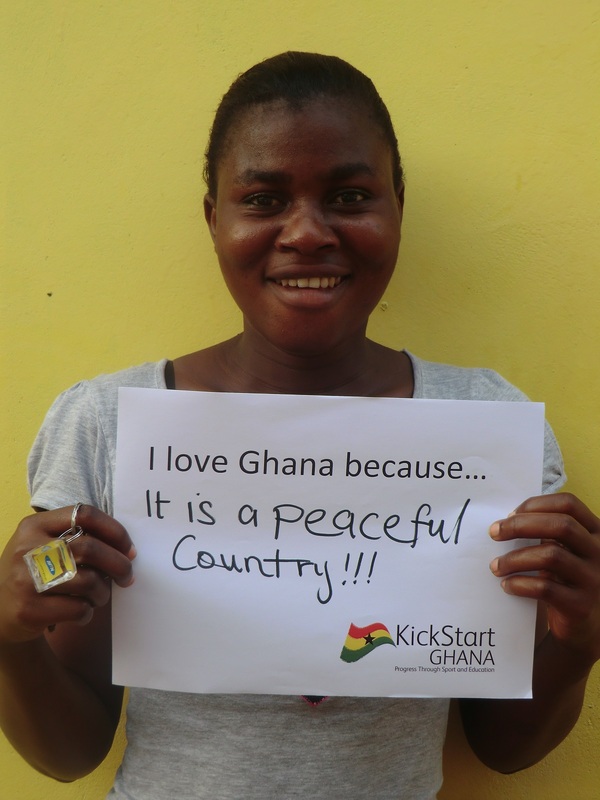 That might seem an odd reason to be proud of your home, in many parts of the world this is a given. 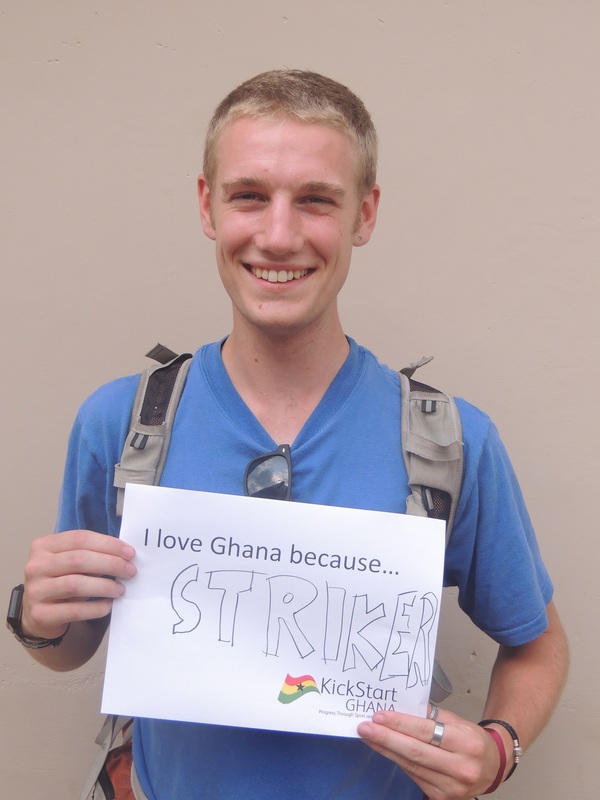 However, when these photos were taken Ghana had just come through a hotly disputed and tight election. 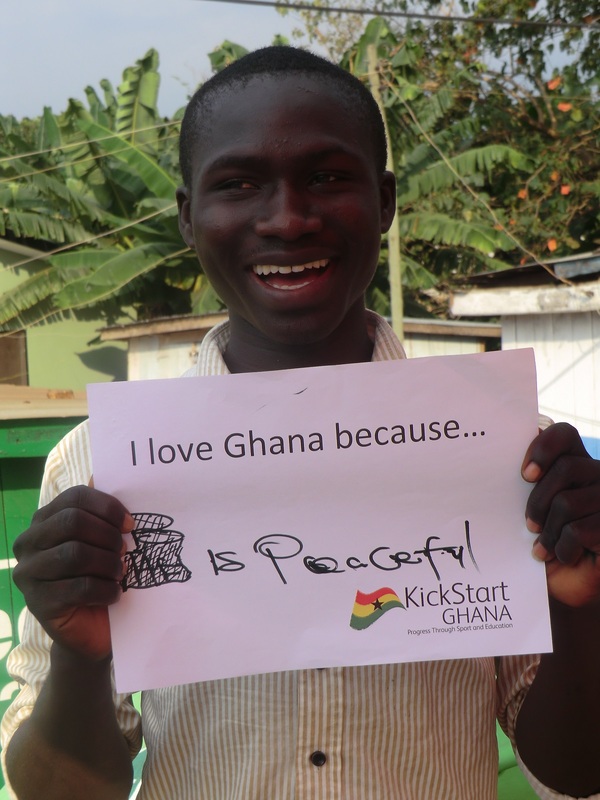 The final decision was made in the courts, not on the streets of Accra, Kumasi and Ho. 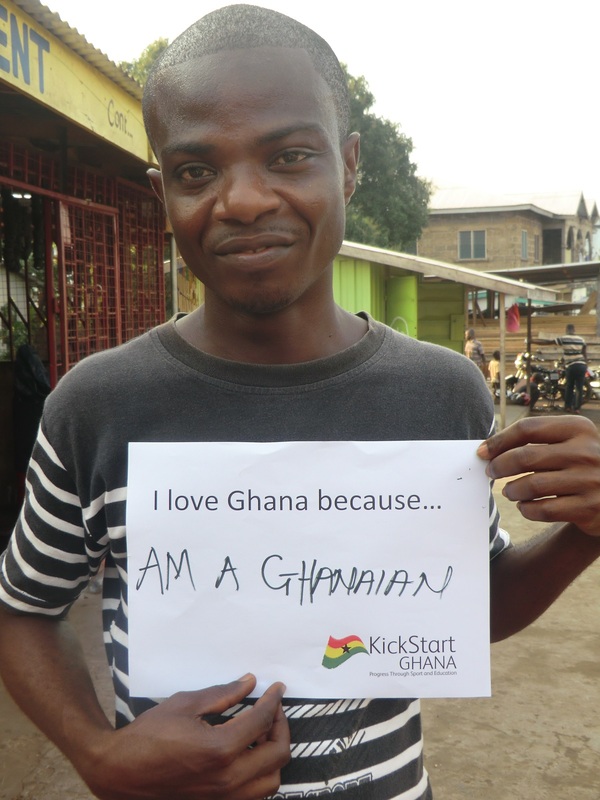 Compared to what happens in other parts of West Africa, I can see why Ghanaians are so proud of this. 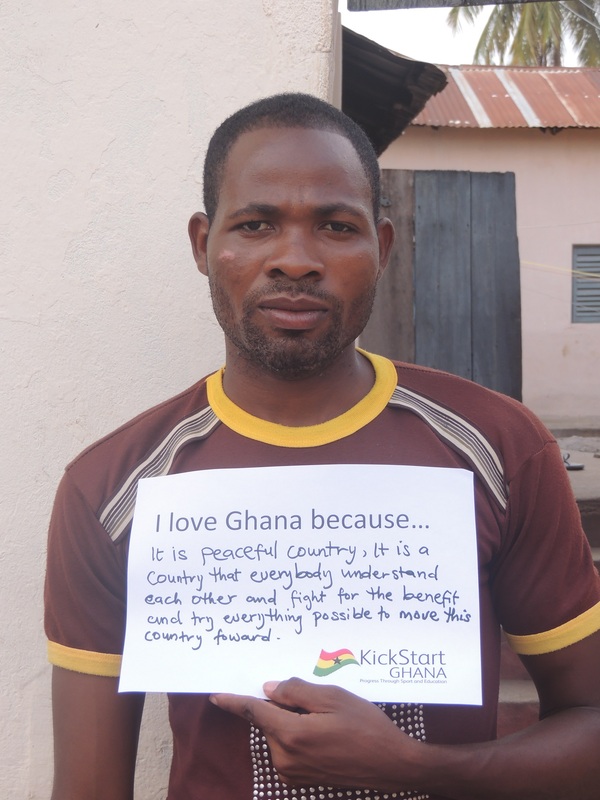 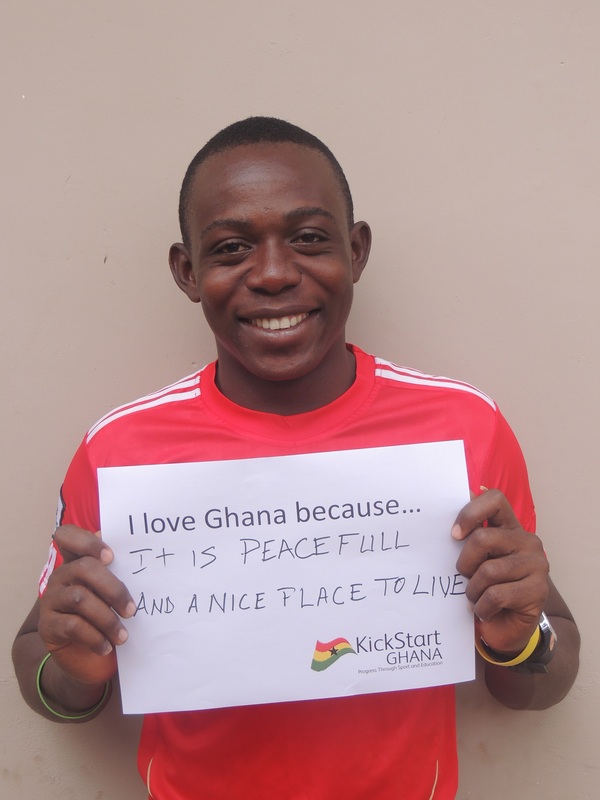 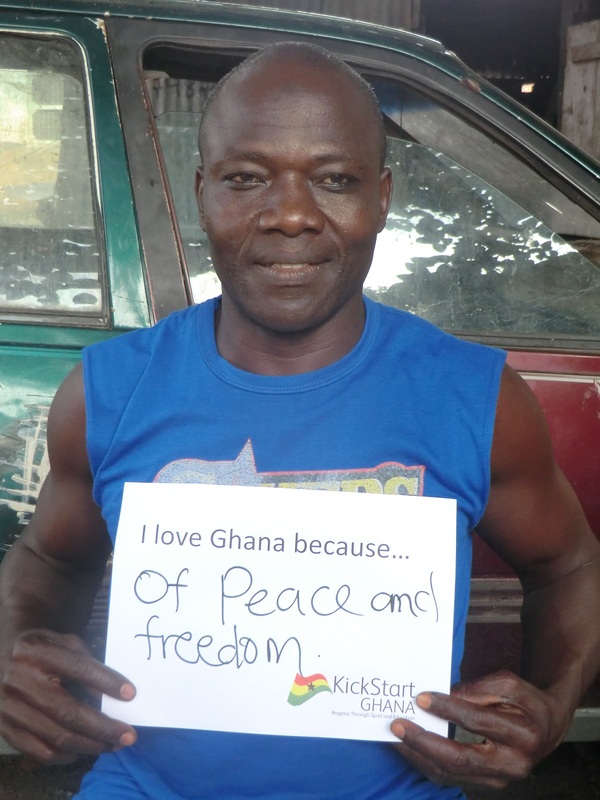 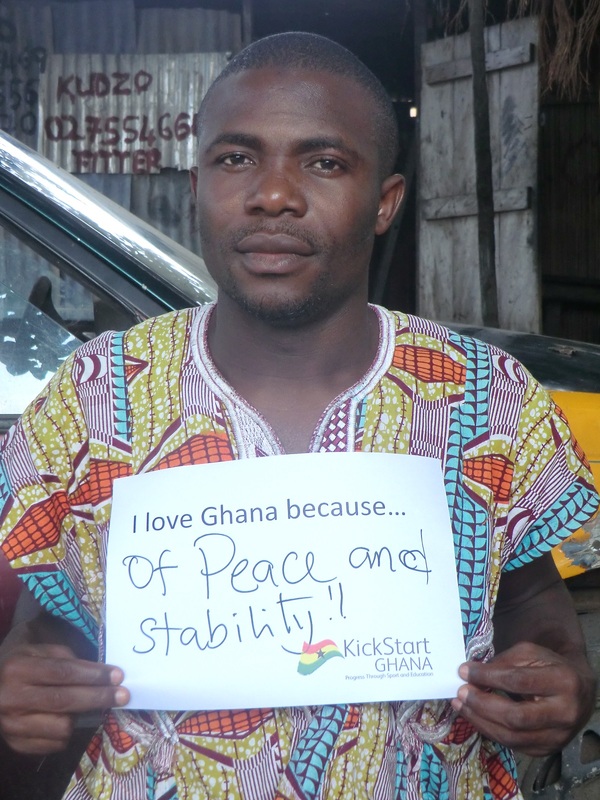 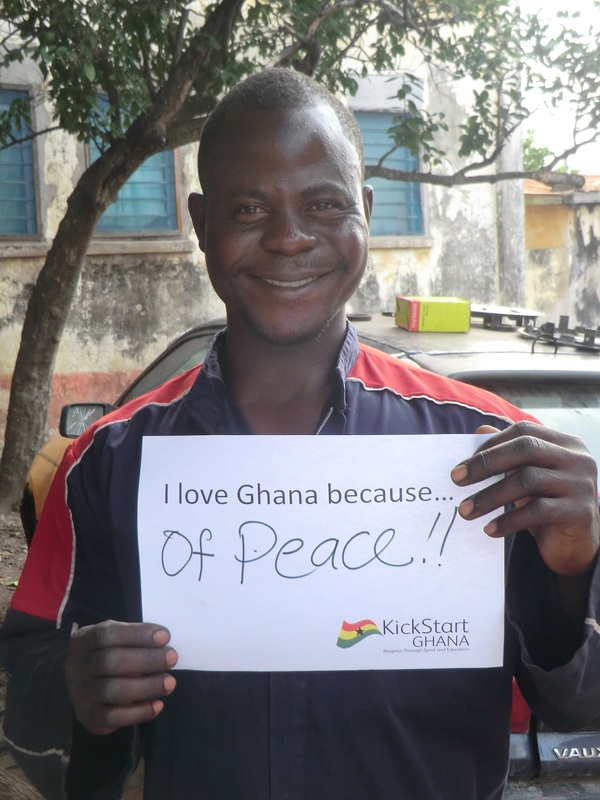 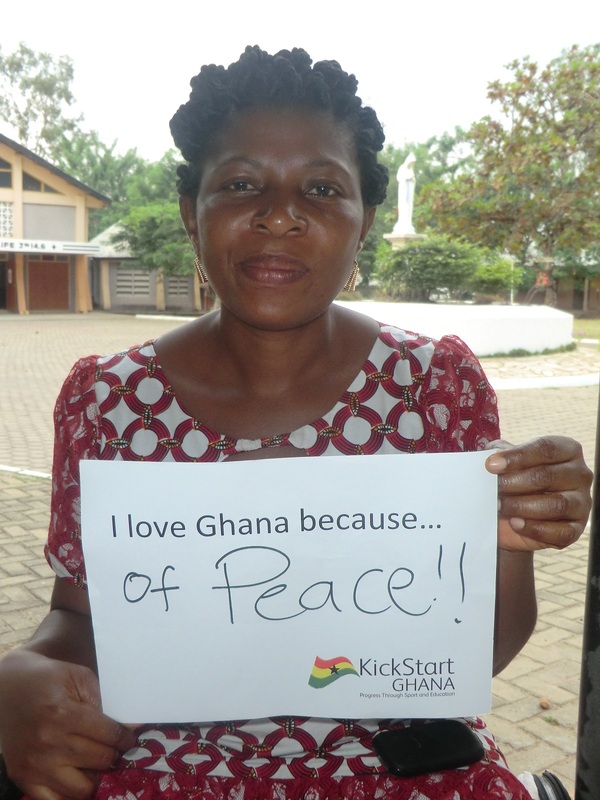 Below is the blog entry originally posted on the KickStart Ghana blog. 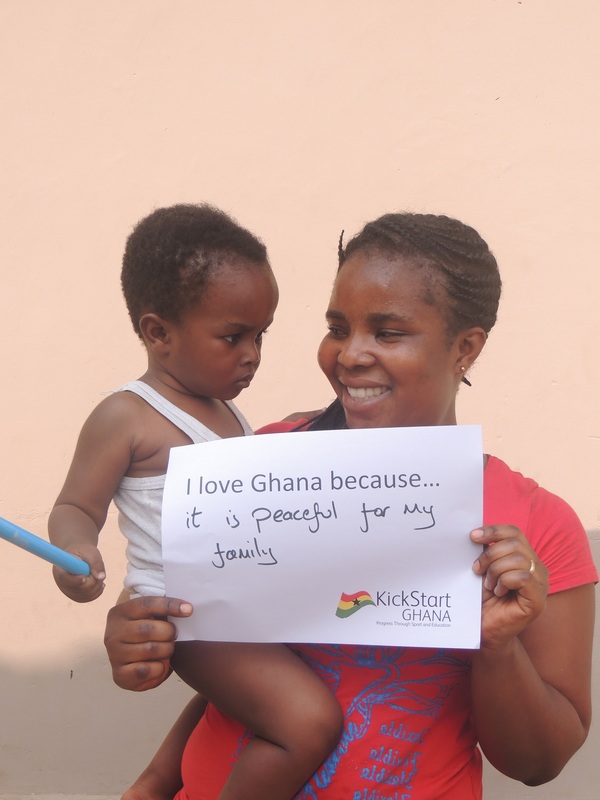 PreviousWhat’s it like to be a woman in Ghana?